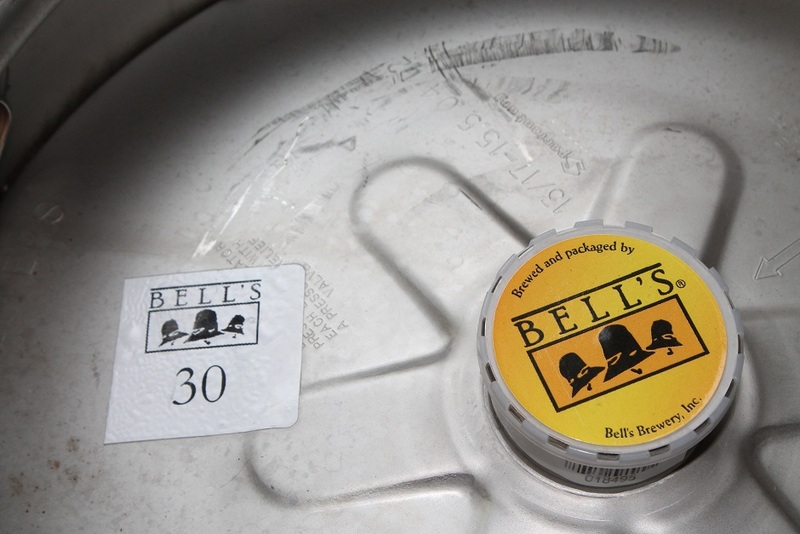 Bell's is bringing a special 30th Anniversary Ale and a ton of other beer to town to help Ashley's Pub celebrate three decades in the bar business. Photo courtesy Erik Smith and Ashley's. Your correspondent has lived in Ann Arbor for not quite nine years, but my relationship with the city goes back two decades, when I discovered two things that would change my life: Michigan football and Ashley's Pub. While the former has experienced some rough times recently, Ashley's is still going strong, celebrating three decades as a familiar Ann Arbor landmark. 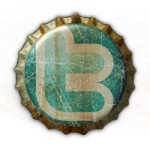 Read all about that and plenty more Brews You Can Use™ in the latest Week in Beer. » Today at 4 p.m., Wolverine State Brewing releases The Barista Lager at the taproom at 2019 W. Stadium. It was brewed in collaboration with John Roos of Ann Arbor’s RoosRoast Coffee Works and Wolverine brewer Karl Hinbern describes it thus: “It’s not a coffee porter, or stout, or anything that beer drinkers expect from a ‘coffee beer.’ We created a layered malt base so we can display John’s fantastic Colombian coffee up front and center.” Roos will also be on hand for the festivities, manning an espresso machine for anyone who wants to chase their beer with some coffee (or vice versa). » This year Ashley's, 338 S. State, turns 30 years old and to celebrate they’ve commissioned a dozen breweries to create some exclusive beers to be released throughout the year at the pub. First up is Bell’s, which has brewed Ashley’s 30th Anniversary Ale, a malty brown brew created by Larry Bell himself and described by daughter and Bell’s Marketing Director Laura Bell as “a very malt-forward beer with almost no aroma hops. It’s got this wonderful, complex, malty, bready, dark characteristic to it. It’s very different than what the popular trends are today.” Ashley’s is tapping it at 3 p.m., with a celebratory toast at 6 p.m.
» Dark Horse Nation returns to Whole Foods Cranbrook, 990 W. Eisenhower, for another Michigan Craft Beer Happy Hour from 5-7 p.m. On tap will be Boffo Brown Ale, Raspberry Ale, Too Cream Stout, Fore Smoked Stout, Crooked Tree IPA, Reserve Special Black Ale, and Scotty Karate Scotch Ale. It’s sure to be another raucous evening of drinking and grocery shopping. » Over at The Produce Station, 1629 S. State, from 5-6:30 p.m., the beer is free! Well, samples of two Michigan beers are free, anyway. Swing by for a taste of New Holland Night Tripper Imperial Stout and Dark Horse Thirsty Trout Porter. 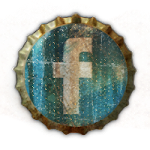 Find more details on the Produce Station’s Facebook page, where you can also submit requests for future Free Beer Friday feature brews. » Grab your gloves and parka and get ready for the annual Winter Warriors event at Arbor Brewing, 114 E. Washington. From noon to 5 p.m., sit outside on the sidewalk patio and enjoy $1 draft beers for the duration. But don’t worry about freezing to death: Arbor is also featuring hot beverage and chili specials to help warm you up. » There’s a football game on tonight or something? Witch’s Hat Brewing, 22235 Pontiac Trail, South Lyon, is staying open later and offering happy hour prices ($1 off) on their delicious beers all day long. Check witchshatbrewing.com for the current tap list. » Bell’s is back in force at Ashley’s for more 30th anniversary fun. Marketing Director Laura Bell leads a day-long “30 Years for 30 Beers” event, featuring the release of Bell’s new seasonal, Smitten Golden Rye Ale, along with 29 other great Bell’s beers on tap. Stop in at 3 p.m. for live jazz music from guitarist John Lawrence as Bell’s “jazz series” of beers – Le Batteur, Le Pianiste, Le Contrabassiste, and This One Goes to 11 Ale – are tapped. Then join the Bell’s crew in Ashley’s Underground at 4 p.m. for a Bell’s Beer 101 seminar including a beer and cheese pairing (limited to 25; cost is $10 – tickets on sale Jan. 31). There will also be opportunities at 6 and 9 p.m. to win Bell’s gear from the Bell’s Wheel of Prizes, trivia contests, and other challenges and activities. So, basically, whooo! If you love Bell’s, you’d be a fool to miss this event. » From 6-9 p.m., Brewer's Night returns to Grizzly Peak, 120 W. Washington, with tours of the new brewhouse (see more below), beer sampler specials, and a cask of sumpin' sumpin' special. » Anyone wanting to road trip over to Westland beginning today through February 17 can check out the third annual Belgian Beer Festival at the other Ashley’s, 7525 Wayne Rd. More than 160 Belgian beers on tap and in bottles will be featured, making it the country’s largest such festival, and that’s just the beginning. Belgian-inspired entrees, Valentine’s Day beer and chocolate pairings, special happy hours, meet-the-brewer events, and more are also on the docket. 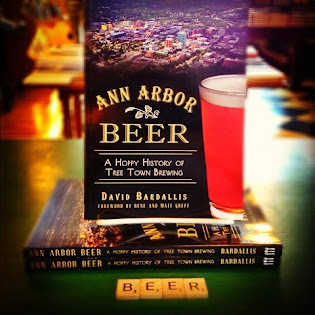 Check abbf.ashleys.com for the latest beer lists and schedule of events. » While in town for the Ashley’s Belgian Beer Festival, brewers Stefaan Soetemans and Kristof Deroo from Brouwerij de Musketiers of Ghent, Belgium, will be dropping by the Corner Brewery, 720 Norris, Ypsilanti, to brew Mundus Novus Chocolate Rye Dubbel Ale, a collaborative brew to be paired with Mundus Vetus Tripel Rye Ale previously brewed in Ghent. The two beers will be released at Arbor Brewing sometime in May. Stay tuned for more details. The new Grizzly Peak brewhouse is just about up and running, with brewing to re-commence this weekend. In the meantime, on tap are two great easy drinkers, Bitter Tony’s Rye Bitter Ale and EOB Extra Pale Ale, coming soon is another good session brew, Little Giant Lager, and for those needing more bite, Edwyn’s Warm Up Ale, an 8.1% pale ale. At Liberty Street Brewing, 149 W. Liberty, Plymouth, Pub House Brown Ale makes its long-awaited return to the taps, though it’s been bumped up to 4.5% ABV from its previous 3.25%. Also on tap is 8 Ball Black IPA and, on Feb. 6, look for a special beer brewed to meet specific customer demand: You Asked for Wheat Ale. There are still a few tickets available for the Valentine’s Day dinner at Witch’s Hat, featuring sumptuous fare paired with their Belgian Tripel, Big Doedish Double IPA, and Bourbon Barrel Aged Night Fury Molasses Imperial Stout. Tickets are $55; get the full menu and more details here. Grizzly Peak is not the only brewery undergoing an expansion and upgrade. Wolverine State Brewing has just installed new fermentation and conditioning tanks, doubling their brewing capacity, meaning even more great lagers from head brewer Oliver Roberts and the gang. Also in 2013, look for Gulo Gulo India Pale Lager to join the bottled Wolverine offerings available in stores. Finally, over at Blue Tractor BBQ & Brewery, 207 E. Washington, look for For a Few Shillings More Scottish Export Ale, a 7.1% brew to keep your kilt warm.